In a move that is says will accelerate its evolution to a device and UI independent cloud-based Software-as-a-Service operation, yielding a significant expansion in market opportunity, advanced television technology specialist TiVo is to acquire cloud-based content discovery and recommendation service Digitalsmiths for $135 million. Digitalsmiths offers personalised video search, recommendations and browsing, social trending, and mood-based discovery which can be used to connect consumers instantly to the most relevant movies, TV shows and live events available, at any time, on any screen including set-top boxes, tablets, smart phones, computers and gaming consoles. Digitalsmiths currently works with 46 blue‐chip US and international Service Providers including seven of the top 10 pay-TV operators in the United States, Content Providers and Consumer Electronic Manufacturers. Separately, TiVo announced that it has increased its current stock repurchase authorisation by $100 million, giving the company approximately $186 million of unused repurchase capacity as of the current date. 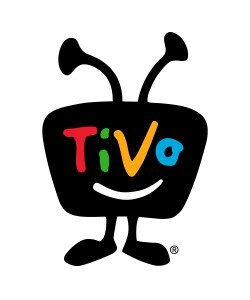 In conjunction with this increased authorisation, TiVo intends to repurchase $100 million during the first quarter of Fiscal 2015 (after it can either modify its existing 10b5-1 plan or enter into an accelerated stock repurchase programme).